As part of the Memorial Hermann Medical Group (MHMG), the Vanguard Urologic Institute-Memorial Hermann Southeast provides highest-quality care for patients in southeast Houston. We provide comprehensive diagnosis and treatment for urological conditions, but the heart of our practice is caring and empathetic relationships with patients based on two-way communication and trust. Our staff specializes in diseases affecting the urinary tract of both males and females and male reproductive organs. We provide prevention, diagnosis and treatment for kidney stones, urinary infections, prostate enlargement and other conditions. Native Houstonian Dr. Peter Hinh earned a master’s degree in public health from Tulane University in New Orleans and his medical degree from the Texas Tech University Health Sciences School of Medicine in Lubbock. He completed his residency in urology at The University of Texas Health Science Center at Houston (UTHealth). 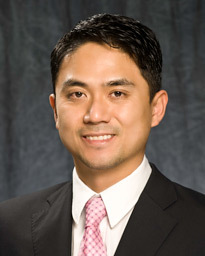 Dr. Hinh sees patients suffering from any condition related to general urology including endourology, stone therapy, male sexual dysfunction, voiding dysfunction and incontinence. He places special emphasis on minimally invasive approaches with the aim of incorporating the latest technological advances into managing urologic diseases. The Vanguard Urologic Institute-Memorial Hermann Southeast is conveniently located on the campus of Memorial Hermann Southeast Hospital, southwest of the intersection of I-45 South (Gulf Freeway) and the Sam Houston Parkway (Beltway 8), near Ellington Field. Ample parking is available.